I’ve seen a lot of websites discussing the flipping of blogs lately for some quick holiday cash. I don’t know if this is becoming a big trend all of a sudden, or if everyone is just thinking alike. Whatever the reason, I thought I’d weigh in on this issue myself. Creating a blog for the purpose a reselling it is a cheap, yet profitable investment. If you have a few hours to spare and a couple bucks, you can have a blog up and running in no time. With some bloggers noting they are producing 2-3 blogs a day and making about $130 from each one, it seems like a no-brainer as something you should seriously considering doing. Here’s how I would do it to leverage the most profit possible. Find a niche. Sites like Google Trends and Yahoo! Buzz are a great place to start to find out what’s hot right now. Keyword research. Upon deciding on a niche, do a Google search and see how many competing sites there are in that certain niche. If there’s too many, you may want to use more targeted keywords. Let’s say I’m creating a blog about Christmas. Obviously this is a massively popular keyword, so I’d narrow it down a little bit. Perhaps Christmas lights or Christmas cooking would be a better choice. Register a domain name and get web hosting. Domains can be purchased for about $10 a year and hosting is about $5 a month. It’s better if you have a reseller hosting account, which is about $24/month. This way you could create numerous sites on one hosting account, and then simply transfer ownership to the new owner. Because the new owner might not already have their own hosting account somewhere else, you can also make an affiliate sale by having them sign up with your preferred hosting provider (if they have an affiliate program). I recommend HostGator. Install WordPress. It’s no shock that WordPress is the most popular blogging platform you can choose. It’s also free! Most web hosting providers include WordPress in their service, so you might be able to install it in a few clicks right from your control panel. If not, you can download it on the WordPress site. Write some posts. Do some research on your niche and pump out a few quality written articles. If you’re stuck on this step, or writing isn’t your strong point, you may want to consider outsourcing the writing part. Search Google for freelance copywriters or article authors. 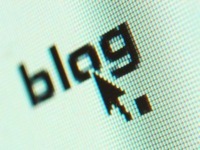 Promote the blog. Using social media to get traffic coming into your new blog is the fastest way of making sure it will be successful for the new owner. Consider using Twitter, Facebook, Digg etc. for some free traffic. If you already have some other sites, you may consider interlinking them to your blog. It’s time to flip it! Now it’s time to get paid… and this is the most important step. Because eBay banned the sale of digital items a while ago, you can’t use that as a platform to sell your blog. However, sites like Digital Point and SitePoint have sections where you can sell your site to many interested webmasters. When listing it, consider listing some important facts, such as how old the site is, any associated operating costs, how much traffic it gets and how much the blog generates in income. If it doesn’t make any income, make sure it’s set up to do so for the new owner. You may want to consider adding some affiliate products from the MarketLeverage network, or ClickBank, or even using Google AdSense to make it profitable. If the site doesn’t sell on its first day after being listed, don’t be discouraged. It can take some time, but from my experience, if you don’t have any interest after 3 days you need to go back and make some adjustments. It could be anything from the niche you’re in, or even the blog template. Luckily, there are thousands of free blog templates for WordPress, so experiment with what works best. To make this the most profitable, set aside a few days a week where you’ll make 2-3 blogs in one shot. This is where the big money is, because sometimes you can sell them as a “lot”, and negotiate a higher price with the buyer. As far as accepting payment, make sure you only use PayPal. Never take cash, check, money orders etc., those are nothing but trouble. Also be sure to outline some terms with the buyer, as to what they’ll be taking ownership of — domain name, site content, design, e-mail accounts etc. It’s better to get all of this information settled at the start than having to deal with any discrepencies later on.